Pit Two is, like Pit One, designated an SNCI area. The environment is less sensitive than that of Pit One but still presents a variety of interesting features. In the southern corner of the pit a wetland ecosystem has become established with reeds and sedges competing with willow for the space. Willow has become established over the whole pit floor area and, during 2000 coppicing of one area was undertaken to protect the wetland. Since that period we have even had pairs of ducks visiting the waters! Our aim is to develop a coppice management plan for this whole pit to both fix the present ecology and offer the potential for osiers to be harvested for a weaving. 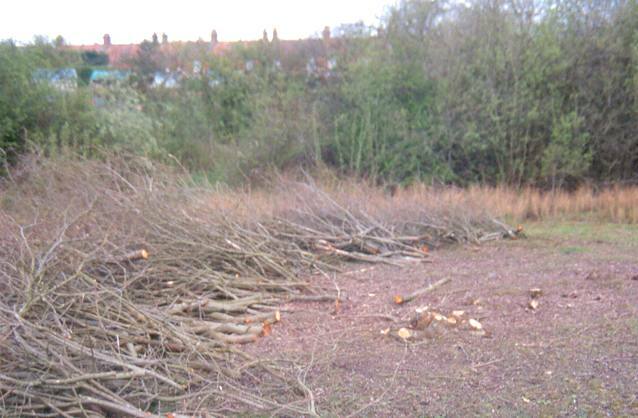 Any willow not used will be stacked around the area to provide "nursery site" for insects as it gradually rots. During the spring large quantities of common spotted orchids can be found each side of the steps into the Pit whilst there are also a few example of pyramid orchids for those with a keen eye.